A classic French chÃ¢teau in the heart of Preston Hollow will be available in the summer of 2019. Designed by Richard Drummond Davis & built by Colby Craig Custom Homes, this 11, 500-square-foot luxury residence blends the best in traditional Northern European grand architecture with every modern convenience. 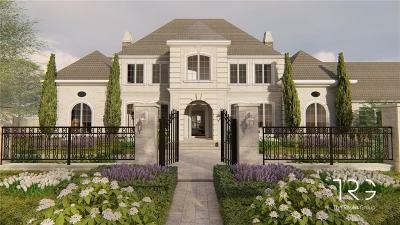 Exceptional detail & custom craftsmanship define this elegant home. Beautifully proportioned, with 12-ft. ceilings, gracious entertaining areas, this timeless luxury estate has six bedrooms, eight-full- bathrooms, four-half-baths, a library, game room, exercise room, & a five-car garage. Multiple outdoor living spaces & a resort style pool offer ease of entertaining on an intimate or grand scale.